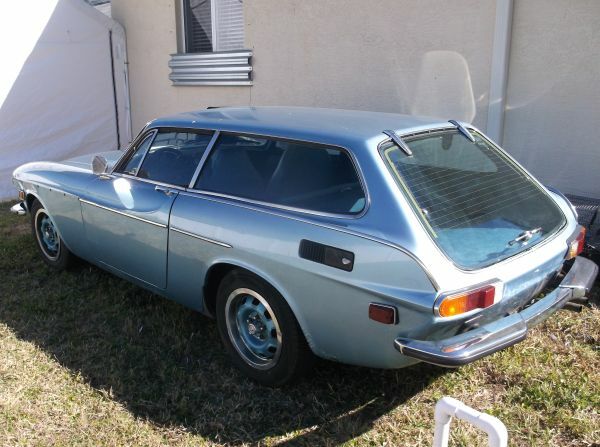 It's no secret that DT is a big fan of the Volvo 1800ES. This little two-door "shooting brake" wagon represents just about the most extreme combination of quirky design with durable mechanicals that we can think of. Decent running examples seem to trade hands near $10k these days, but we've come across one that looks like a real bargain at $6900. Find it here on craigslist on the "Space Coast" in Palm Bay, Florida. 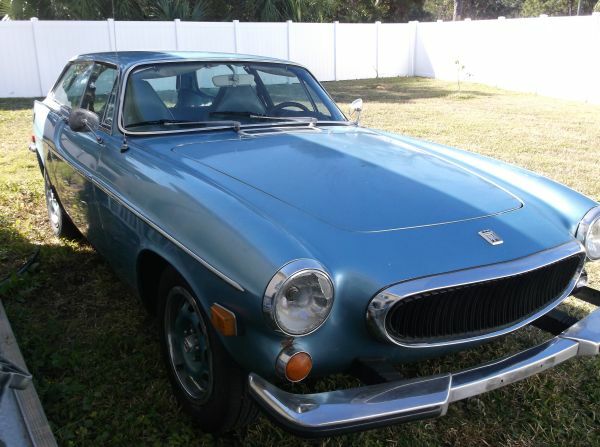 It looks like this blue-on-blue Volvo is in solid condition overall, with decent paint in a classy color. It seems to be complete apart from a broken headlight and missing trim on the left front fender. The seller does admit that it will need rocker panels replaced due to rust, which is a common issue with these cars and not an immediate reason to run away. "Some other surface rust starting" is also mentioned, and we can spy bubbling behind the driver's side rear wheel - another common rot area on an 1800. If the unit body structure and floors are solid the new owner could get away with welding in some patch panels (which are still available from Volvo) and some paint spot repairs without embarking on a full respray. The seller also mentions a dent in one front fender, but says that the M41 4-speed manual trans and Laycock DeNormanville (hehe...we said "Laycock") overdrive have been recently rebuilt. 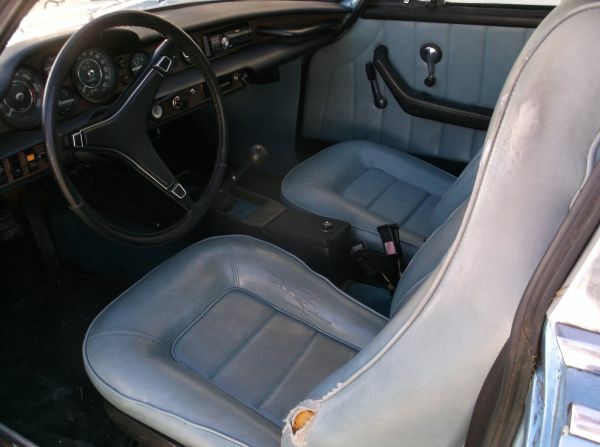 The black and blue interior looks serviceable and clean - a few rips in the seat covers could be lived with for a daily driver. The dash looks uncracked and we don't see any evidence of mice, spiders and/or hobos living in here any time recently. If everything works and it can be driven home (as the seller claims) this could be a great way to get into an 1800ES at 25% off market price and do a rolling restoration, fixing issues one by one without decommissioning the car and turning it into an unmoving hulk of a project. I spoke with the owner last week. The car came from Washington State---but was bought through COPART a Salvage - Insurance reseller. Car has some damage on one side. I was unable to supply seller w needed trim ,side marker, and Fender. Car allegedly a one owner DRs car that was gifted to a charity----not sure how Copart ended up with it. Title review necessary to be sure not salvage and now titled in Florida---not sure if it was. The seller is a dealer who regularly buys cars like this. ~ high potential, i suppose you are booked solid, Dr. D ?
. note to seller; more pictures. Anon, thanks for the info. I will definitely keep that in mind when I call the seller this afternoon. So, I won't be able to go see this until next Friday but I have a feeling it will still be available. Frame rails and jack points and battery boxes all have to get checked out, plus rear window ledge under the 'gasket.' This would be a good resto mod starting point to go with the my stock(ish) California white Nerd. Checked out the car in person today...it was a rust bucket with over 300k miles on the clock and a pretty ratty interior. Felt like about 1 out of the 4 brakes were working, and the engine was way down on power. Seller was patronizing throughout and completely unwilling to budge on the price. Oh well...still worth the drive out to the middle of nowhere to get to see an interesting old classic, I suppose.